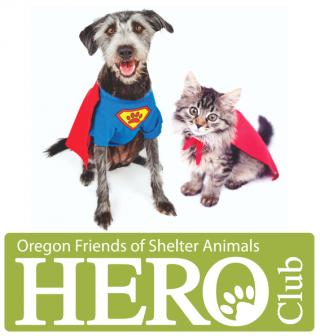 Oregon Friends of Shelter Animals is always looking for great local volunteers. Our dedicated volunteer network gives thousands of deserving dogs and cats a chance at finding their forever homes. Volunteer opportunities vary from helping out at fundraising and adoption events to assisting with transport and intake of animals to cleaning and set-up of intake and medical facilities. You, too, can help provide the dynamic people power that assists OFOSA in achieving its mission. People who have spent time volunteering for OFOSA say they get back in satisfaction and joy more than they ever expend in effort. Pick-up clean laundry in Aloha, take to your home, fold and return to Barkzone-Bethany by Friday of same week. This is usually 6-8 loads per week. Clean and set up Intake Depot at Barkzone for next transport. Clean Medical unit and prepare unit for next surgery date. This is located in Aloha, OR. 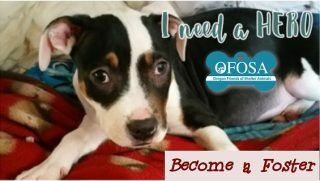 OFOSA depends on our partnerships within the community to introduce our wonderful animals to potential adopters. We are at multiple locations almost every Saturday afternoon from 12:00pm to 4:00 pm (except for Holiday weekends). Your duties at these events can include playing with dogs to keep them happy, taking them out to potty, helping with setup and teardown. All details for all events are finalized on Thursday of the same week and sent out in email to all volunteers. About every other weekend, volunteers meet the transport vehicle arriving from out of town to help unload homeless pets and prepare them for intake. 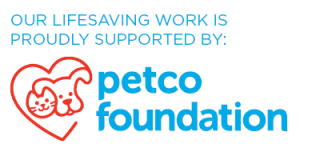 This typically begins at Petsmart – Tualatin and is completed at Barkzone – Beaverton. Assist with dog & cat intake which can include walking, feeding and playing with dogs/cats. This is located at Barkzone – NW 169th in Beaverton. Fido’s serves as a corporate foster home for OFOSA. We house up to 6 dogs there. They live there and can be adopted from there. We need volunteers to help “staff” the Doggie Dayroom where they reside. Duties here include interacting with the dogs in many different ways…walking, feeding, playing, taking on walks, etc. You will also be interacting with Fido’s customers who pay to visit with the dogs. You would be helping the patrons understand the rules of the doggie dayroom and proper handling of the pups. Your hours can vary based on your availability and Fido’s needs. This is located in Tigard, OR. 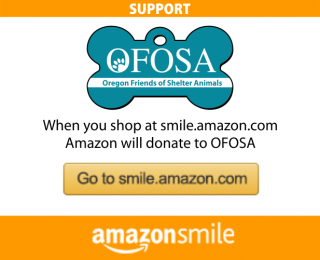 Throughout the year OFOSA participates in various fundraising and friend-raising events. Available positions range from upper level business coordination, to transporting supplies, to set up and decorating, or running a booth. Phone * Enter the best phone number to contact you about potential assignments. Summarize special skills and relevant qualifications you have acquired from employment, previous volunteer work, or through other activities, including hobbies or sports. Have you ever been convicted of a felony? Have you ever been convicted of a misdemeanor? If yes, please give dates and details: Please note, at the time we are not accepting Community Service Volunteers. Summarize your previous relevant volunteer experience. Do you have any physical disabilities or health concerns that would prevent you from performing certain kinds of work or in a certain type of environment? Why are you interested in volunteering with OFOSA? What are your feelings about euthanizing animals? Contact Note: We will call you within 5-7 days of submitting this form. We will call you twice, but if we are unable to reach you, we will assume that you will contact us when you have time to give. Affirmation By submitting this application, I affirm that the facts set forth in it are true and complete. I understand that if I am accepted as a volunteer, any false statements, omissions, or other misrepresentations made by me on this application may result in my immediate dismissal.